The home page lists all the sections on our log cabins website and gives a quick summary of what each section is about. The same sections of the website are also listed in order, on the left hand side navigation bar. When you click through, either from the home page or by selecting it on the nav bar, this page will then go over in more detail what that section is all about. Each sub section of this main section will be listed, with a further description of exactly what to expect, when you drill right down to the real specific details of that aspect. The sub sections are accessed via text links located within that description. The text links will be highlighted in blue text, which is underlined. Please note once you have previously viewed a page, the text line colour will turn to purple. If you are still not sure where to find a specific page, all the pages are listed below in our log cabins site map,(in section and sub section order). 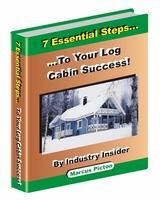 Why Mobile Log Cabins & Mobile Log Cabin Usage?